Summer is a great time to have some fun with your mani/pedi. There are all sorts of wild colors from which to choose, and let’s not even get started talking about the range of nail art from which you can choose. But in order to keep your nails looking great, you’ll need to give them a little extra TLC this summer. You’ll be outside a lot in the coming weeks, and you’ll be diligent about using sunscreen. But you’ll also need to think about protecting that fantastic manicure you just got from those UV rays too. They can quickly fade or discolor even the perfect nail color. Ask your nail technician to apply a non-yellowing topcoat to help it last longer and resist fading. And be sure to keep up with moisturizing both hands and feet this summer, too. If you know you’ll be spending time at the pool or beach, ask your nail technician to use an extra strength topcoat. All of that exposure to water and chlorine can really dry out your nails and cuticles making your color more prone to chipping. Applying a good cuticle oil every night will help, too. But the best protection is to avoid soaking your nails – and that sounds like the perfect reason to shift the dishwashing duties to someone else for the summer! If you’ll be traveling by air this summer, take along a small tube of hydrating hand lotion. The recycled air inside a plane is very drying, and your nail beds will certainly notice. Apply it prior to take off and after each time you wash your hands, too. Be sure to keep well hydrated from the inside out, too. Not only will you feel better and experience less jet lag, your nails will stay strong and healthy throughout your trip. 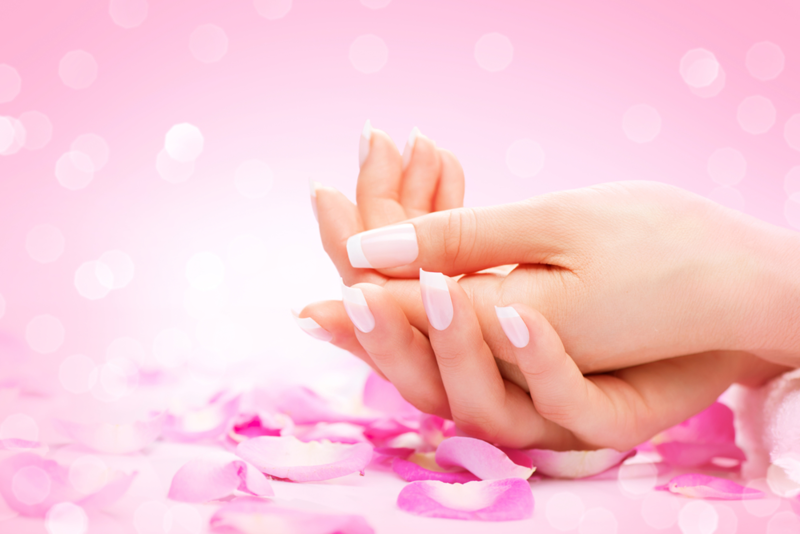 Keeping your manicure or pedicure looking great this summer is simple when you start with the nail services here at The Full Spectrum Hair Salon. We’re committed to helping you look and feel your best with every visit. You can find us at 305 E Farm to Market Rd 544, #911 in Murphy, or give us a call at 972.509.1565. Prefer to instantly schedule your own appointment? Use our mobile app – you can download it for free from iTunes, Google Play, or Amazon.